We’ve had orange drivers, white drivers and blue drivers – but this is the first illuminous green one. 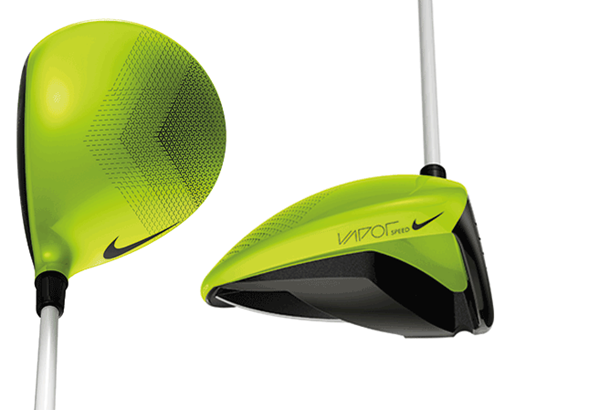 The ‘Volt’ Nike Vapor Speed driver used by Michelle Wie (below) and Paul Casey is going on sale in limited numbers. Until now, Wie and Casey were the only two players in the world with the Tour-only driver that has a coloured crown instead of the standard black one, and a ’volt’ coloured cavity. Sticking with the recent trend of releasing Tour products to the golfer – last month they offered Rory McIlroy’s Nike Method 006 putter to the public – the firm decided to release 800 drivers in Europe. of inertia and largest, most stable chassis in the Vapor line-up. It has a higher launch angle with lower spin in a slightly more forgiving profile than the Vapor Pro. Details: Available at select retailers and nike.com, £279.99.